SikhNugget presents a round up of the Baisakhi celebrations 2011 in pictures. 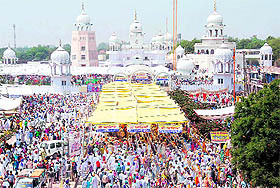 This year the Birth of the Khalsa was celebrated with great vigor at Takht Damdama Sahib, Talwandi Sabo. Sangat paints a colourful scene at Takht Damdama Sahib. 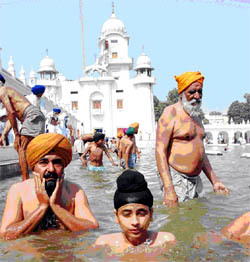 Devotees taking a dip in the holy sarovar at Damdama Sahib. 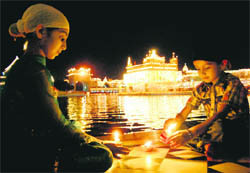 Children light candles on the occasion of Baisakhi at Harimandir Sahib in Amritsar. A Nihang Singh at Harimandir Sahib. 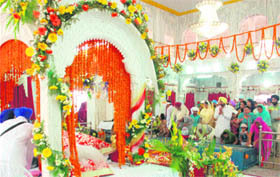 Devotees visit Nada Sahib Gurdwara, Chandigarh. 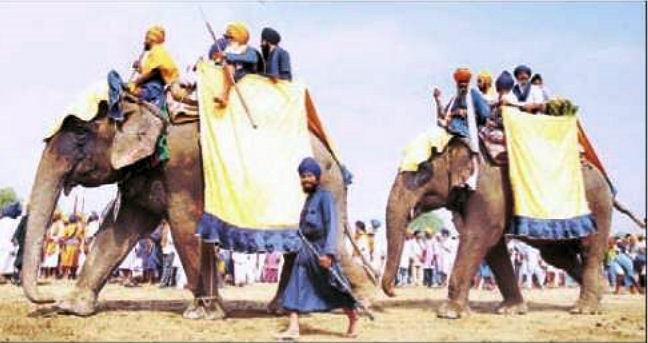 Akali Nihangs on elephants during the conclusion of Baisakhi Mela at Damdama Sahib. 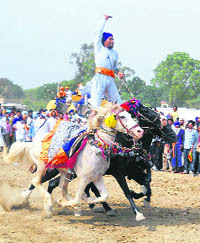 A Nihang astrides two horses at the Talwandi Sabo mela.